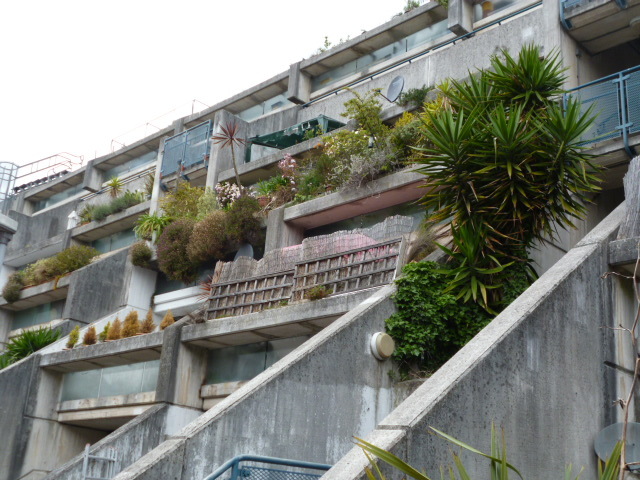 To Mark Swenarton, the work of Sydney Cook (Camden Borough Architect from 1965 to 1973) and his talented team represents ‘an architectural resolution unsurpassed not just in social housing in the UK but in urban housing anywhere in the world’. Usually that kind of comment might be dismissed as hype but here I think huge numbers would agree. This fine book makes the case comprehensively and convincingly. Cook’s big idea, shared and executed brilliantly by the architects he recruited to Camden, was for housing which was low-rise and high-density. It directly challenged the architectural fashions of the day – the tower blocks which (in perceptual terms at least) dominated new council housing from the mid-1960s and the mixed development ideas which licensed them. Equally, he rejected ‘off-the-peg’ system-building. The new direction pioneered in Camden offered, in the words of Neave Brown, Cook’s best known recruit, an opportunity not only to re-engage with the ‘traditional social and physical form and virtues of the city’ but, crucially, ‘to try and improve on them’. This wasn’t some pastiche revival of the old terraces but rather, as Swenarton claims, a ‘modern urbanism’; one that ‘could be generated without creating a rupture with either the existing grain of the city or the prevailing way of life’. And then, essentially, there was the politics; unlike some historians of architecture Swenarton is good on the politics. Camden was, by some way (excepting the Cities of London and Westminster), the richest borough in London, with a rateable value of £3,994,000. Moreover, it was from inception a left-wing borough (despite a significant Tory interregnum from 1968 to 1971), determined, as one its leading members Enid Wistrich stated, ‘to be the tops’. Housing was to be the chief expression of its progressive and innovative politics. to build low, to fill the site, to geometrically define open space, to integrate. And to return to housing the traditional quality of continuous background stuff, anonymous, cellular, repetitive, that has always been its virtue. This was followed through on majestic scale at Alexandra Road. Here there would be terraces, not the voguish streets in the sky which excited many architects of the day. They would form, Swenarton says, ‘a continuous fabric…interspersed with public or semi-public squares’; ‘rather than the buildings being objects surrounded by space’, as was the case in the prevailing mixed development schemes, ‘the buildings should define the space’. Much more could be said and it is covered in great detail in the book but Swenarton also gives due space and credit to other Camden architects. Peter Tábori, though barely 27 when appointed by Cook to design the Highgate New Town development in 1967, brought an impressive architectural pedigree, having been tutored by Ernő Goldfinger (remembered by him as ‘a born educator’), Richard Rogers and Denys Lasdun no less. Tábori was firmly opposed to the estate concept which dominated public housing at the time, taking his ideas of ‘through routes and visual connection’, self-policing public space and clearly defined private space from the newly influential writings of Jane Jacobs. 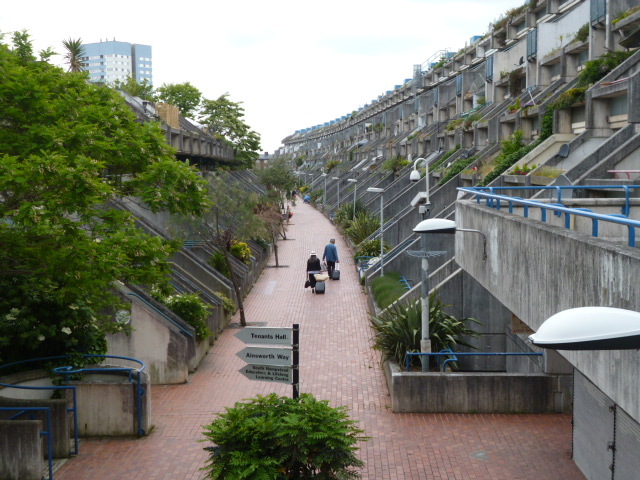 It’s a necessary – though sad – reminder of the limitations of architectural good intentions to learn that by 1983 the estate (because it was in essence an estate) was deemed ‘a haven for hoodlums…a warren of lonely walkways and blind spots’. Fourteen years later, another journalist concluded ‘as an experiment in social housing, the Highgate New Town development has failed’. It hadn’t, of course, but it had gone through (and has since recovered from) troubled times. The simple fact – though complex reality – is that wider societal dynamics often influence our residential experience far more than design itself. 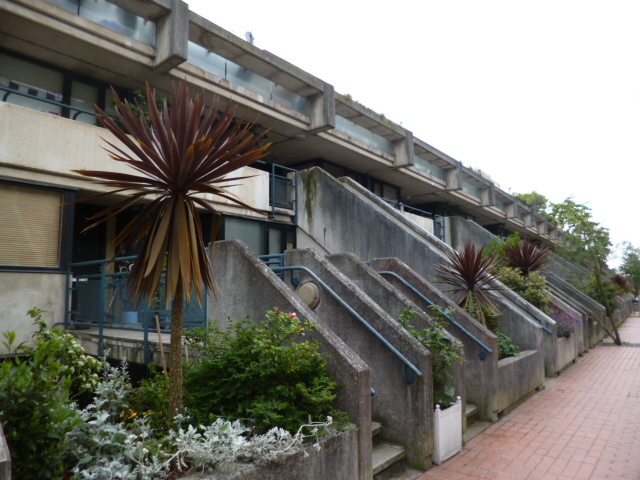 However, it was the Branch Hill Estate in Hampstead, designed by Gordon Benson and Alan Forsyth, begun in 1971 and finally completed in 1978, which best captures both the increasingly fraught housing politics of Camden and the design brilliance. Chapter 6 ‘Class War in Hampstead: the battle of Branch Hill’ describes the former – ‘it was a classic tale of privilege versus the people’ in Swenarton’s words. Chapter 7 ‘The Poetics of Housing: Benson and Forsyth at Branch Hill’ powerfully evokes the latter. The Labour Group was determined to build council housing in leafy, affluent Hampstead; the Conservative Group (though internal differences existed) mostly opposed. The cost of the project with respect to the initial purchase price of the land and the design and constructional fixes that a difficult site and restrictive covenant required, brought this conflict into sharper focus. 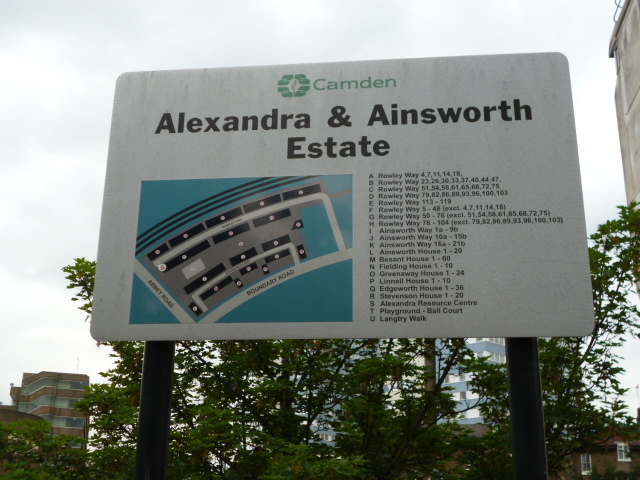 In the end, Labour – back in power in Camden in 1973 and nationally from 1974 – won out and the housing was built. It was quite probably, as hostile commentary claimed, ‘the most expensive council housing in the world’ – 21 pairs of two-storey houses in three rows, costing in total some £2.8m. But it is also, according to Derek Abbott and Kimball Pollit, ‘the most sophisticated semi-detached housing in the world’. The covenant on the land insisted upon a two-storey maximum height and semi-detached homes. That Benson and Forsyth achieved a resolution in signature Camden style – stepped terraces, external walls of board marked and smooth white concrete, and dark-stained timber joinery – yet unique and distinctive is a tribute both to the architects and the political will and vision of the Council. the fundamental belief that, while buildings must satisfy practical requirements empirically, they must also embody those abstract properties which arouse the senses and satisfy the mind. Branch Hill, and Camden’s other architect-designed estates, fulfil this dictum with style and panache. The tide, however, was turning. The Conservatives’ 1972 Housing Finance Act stipulated so-called ‘fair rents’ closer to the market rents of the private sector (albeit offset by a comprehensive national scheme of rent rebates). Camden, alongside other Labour authorities, initially pledged to resist the legislation but capitulated. (Famously, only Clay Cross Council in Derbyshire fought the Act to the bitter end.) The ensuing high rents were another problem for the Branch Hill scheme. By 1975, it was Anthony Crosland, Labour’s Secretary of State for the Environment, declaring ‘the party’s over’. Economic hard times and financial crisis called time on the public sector expansion which had marked much of the post-war period. In Camden, there were other straws in the wind. A middle-class, owner-occupier revolt had scuppered earlier plans for the comprehensive redevelopment of Gospel Oak back in 1966. It anticipated a broader sea-change – a move against large-scale slum clearance (indeed, a questioning of what constituted a ‘slum’) and a drive towards rehabilitation of what were now called ‘twilight areas’. In the 1970s, this change was reflected in an expanded policy of municipalisation – the Council’s acquisition and management of formerly private rental properties. Its counterpart was what Swenarton calls ‘urban dentistry’ – selective demolition of housing deemed beyond repair and small-scale infill, often designed (though to typically high Camden standards) by private practices. The result was that many of the tenancies…were channelled by social services straight to homeless families and others with greatest need. This was a social composition very different from most of the Camden estates. Maiden Lane became notorious, one of those estates demonised by the media as dysfunctional and crime-ridden. The architects insist that its ‘architecture, quality of place internally and externally….was elegant, humane and economic’ and blame ‘ineffectual management, social conflict, and banal architectural intervention’ for the estate’s later woes. There’s some truth in this for sure but it’s another reminder that architecture – whether deemed good or bad – is far from solely determining the lived experience of residents. Alexandra Road, Grade II* listed in 1994, had its problems too though these related to the complex saga of its drawn-out construction and escalating cost. 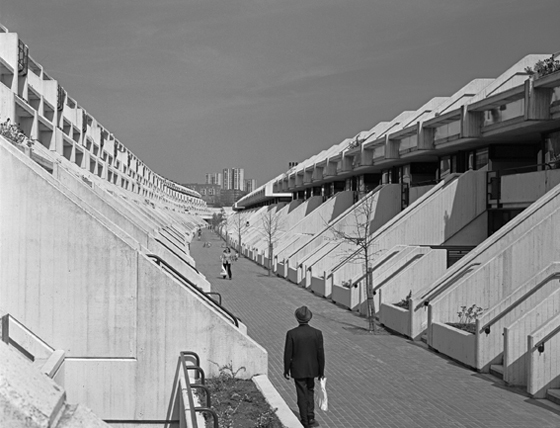 ‘Conceived in 1968, in the period of optimism generated by the post-war boom, but constructed during the crisis decade that followed’, the finished estate of 520 homes took twice as long to build as projected and cost, on completion in 1979, some £18.9m. At the same time, it became a pawn in Labour’s internal politics as a ‘hard left’ faction (some may dislike Swenarton’s use of the term) led by Ken Livingstone wrestled for control against what had now become Labour’s old guard. Livingstone, elected a Camden councillor in 1978, became chair of housing and used a Council-instigated public inquiry into what was now widely seen as the Alexandra Road debacle as a means of discrediting the former leadership. In truth, the inquiry found no blame attached to the Architect’s Department (though it noted staff shortages, for which it was blameless, were a factor) and there were myriad problems – relating to the site, changing specifications and, above all, contemporary troubles in the building trades – which did account for the scheme’s financial difficulties. However, at the last minute, the Council itself inserted a clause suggesting that some of the increasing costs might have been avoided ‘if the Architect himself had exercised more foresight with regards to the demands of the project’. Livingstone moved on to the bigger stage of the Greater London Council. Incredibly, Neave Brown, so unfairly impugned, would not work in Britain again. the challenge was to address the deficiencies of the housing that had been, and was still being, produced by local authorities across the country: to take forward the project of the welfare state – but to do it better. You’ll find all this discussed more fully in the book and much, much more – in particular a rich analysis of architectural influences and forms which I’ve barely touched on here. I’m sorry to gush but it’s hard to imagine a better book on its topic. OK, I’ll earn my reviewer’s credentials by wishing for a bit more on the buildings’ after-lives (discussed a little more fully in some of my blog posts) but the book does what it sets out to do superbly. The photography stands out – Martin Charles’ earlier images and Tim Crocker’s wonderful contemporary photographs of which I include a selection. The schemes themselves are pretty photogenic in skilled hands but Crocker’s shots of lived-in interiors and real live people inside and out bring out their qualities in a more humane and personal way than is common in architectural photography. These are complemented by a profusion of maps, plans and architectural drawings. Congratulations to Stefi Orazi for the book design, to the publishers Lund Humphries for their commitment to the highest production values, and, above all, to Mark Swenarton. His scholarship and hard work have surely produced what is and will remain the definitive account of Cook’s Camden. Cook’s Camden: The Making of Modern Housing, by Mark Swenarton, is published by Lund Humphries (HB £45) The book is for sale on the publisher’s website with free UK postage. If you insert the code CAMDEN10 on check-out, single copies will receive a £10 discount. (1) David Spittles, ‘It’s a game changer: Camden is first council to build homes to sell’, Evening Standard Homes and Property, 19 November 2014. The article incorrectly states that the whole of the scheme was built for private sale. The Council found in Sydney Cook, Borough Architect, and the team he recruited people with the vision and ideological drive to match its ambitions. Cook rejected the system-building then in vogue as the means to build as much as cheaply as possible – ‘I’ll use standardised plans if you can find me a standardised site,’ he said. (3) And he rejected high-rise, particularly the tower blocks set in open landscape popular at the time. build low, to fill the site, to geometrically define open space, to integrate. And to return to housing the traditional quality of continuous background stuff, anonymous, cellular, repetitive, that has always been its virtue. For non-architects, this was a call to return to the traditional values of terraced housing – not necessarily working-class housing, the Royal Crescent in Bath was another role model – in which each dwelling had a front door to the street and its own open space with a view of the sky. 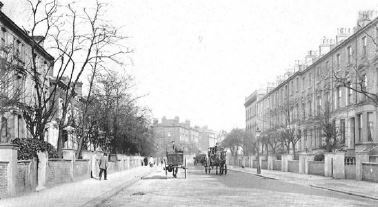 Before the development, Alexandra Road was an area of some 600 decaying Victorian villas, scheduled for demolition. Residents mounted fierce opposition to a commercial redevelopment plan which projected three fourteen-storey high tower blocks. The developer withdrew and the Council purchased the 13.5 acres for social housing purposes in 1966. 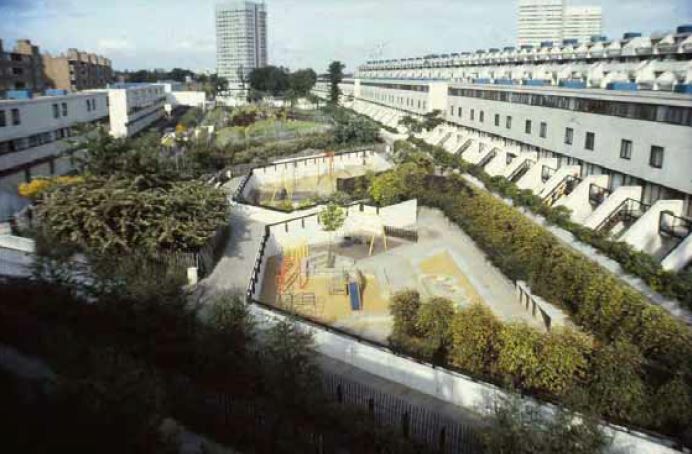 The basic design of the finished estate was determined in 1968 but met resolute opposition from Camden’s Planning Department which believed a low-rise development could not achieve the population density required. The policy brief stipulated 136 persons per acre, Planning asked for 150, Brown won the day by promising 210 – a figure higher than most high-rise schemes achieve. The Council (under Conservative control from 1968 to 1971) approved the scheme in April 1969 and planning permission was granted the following year. One last hurdle was overcome when a 1972 public enquiry approved the pedestrianisation of the road against objections from Westminster residents. A final budget was set at £7.15m. Building began in 1972, the first residents moved in in 1978 and the estate as a whole was completed in 1979. But not before myriad difficulties involving the 175 contractors, a layer of soft clay causing huge problems with foundations and a massive burst water main. Construction costs were also raised by the shortages of materials and labour. The overall price of the scheme ballooned to £20.9m – though this did include significant additional works in the provision of a youth club and play centre, for example. Not surprisingly, the eventual expense of the development and its high maintenance costs were widely criticised. Ken Livingstone, who became chair of Camden’s Housing Committee in 1978 and no friend to those now regarded as Camden Labour’s old guard, set up a public enquiry to investigate. It criticised the Council’s project management procedures. Others blamed excessive architects’ fees. A less blameworthy factor is simply the quality and ambition of the estate’s design. 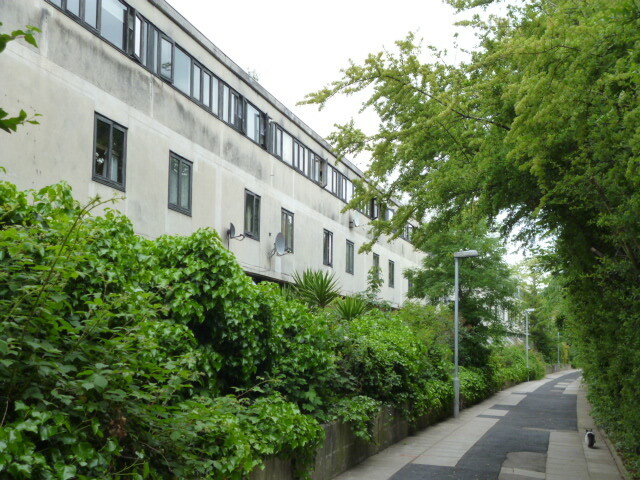 There are excellent architectural descriptions of the estate which I won’t attempt to match here but in brief it comprises two parallel pedestrianised streets and three, 300 metre-long, terraces. 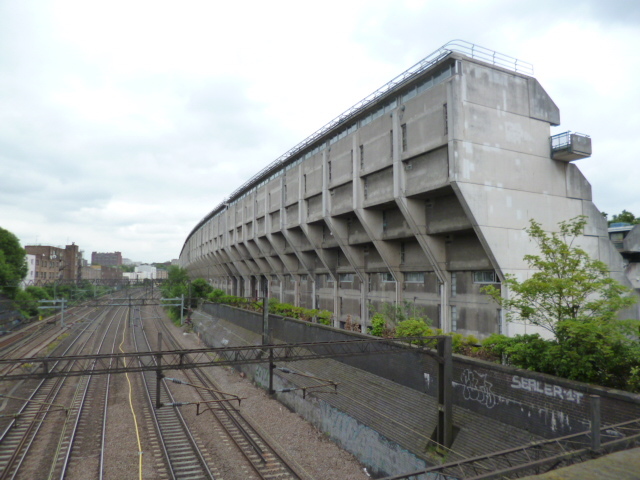 The largest of these, seven storeys high, backs on to the West Coast mainline, and is built ziggurat-style, high at the rear, to block the noise of passing trains. Two other four-storey blocks, run parallel, and between them is a four acre park. Internally, the two-storey dwellings have bedrooms on the lower floor and living rooms on the upper. Each living room has an external balcony with fully glazed sliding doors. Sliding walls allow the interior space to be subdivided. In all, 520 dwellings were provided, housing some 1660 people. Now the key question. Beyond the architectural hype, what has been the experience of the estate’s residents? 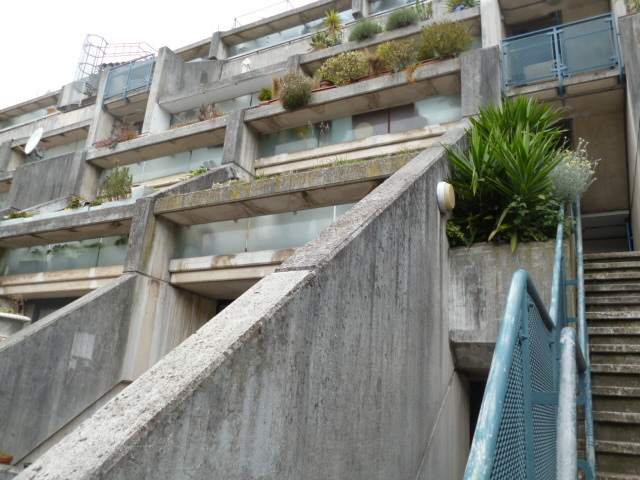 In 1989 tenant disgruntlement with Camden’s management led to their vote to place the day-to-day management of the estate in the hands of the South Hampstead Housing Cooperative. An £8m refurbishment project was awarded to a firm of private architects. In the event, the contract was taken over by the Council and completed by in-house architects and the estate as a whole returned to Council management in 2005. In 1994, well before the thirty years normally required before a building may be listed, the estate was listed Grade II* to ensure any refurbishment matched original specifications. It was described by Peter Brooke, then Heritage Secretary, as ‘one of the most distinguished groups of buildings in England since the Second World War’. Between the system building spree of the sixties and the late seventies slide into folksiness there was a magical moment for English housing when eminently habitable places of clarity and calm were designed and built…Camden has contributed richly to this scene. Residents’ views remain mixed. Some liken it to Alcatraz. One resident describes it more imaginatively as ‘an enormous concrete crocodile that has been in an accident’. On the other hand, there’s the resident who claims, with a little poetic licence, that they ‘live in a penthouse apartment in a Grade II-listed building in St Johns Wood’. (10) For others, it is simply home and it is described overwhelmingly as a friendly, neighbourly estate. the youthfulness and energy of the people involved, and also because the various figures of authority in the Council were relatively young and inexperienced. There’s a pleasure in remembering that this vision was committed to public sector housing, so often underfunded, so often marginalised, that makes it easy to forgive some of the missteps and extravagance along the way. As of 2012, only 18 per cent of the estate’s flats were leasehold so the estate remains social housing in the truest sense. an epic silent film. It suffers from having been released into a different world to that in which it was conceived…set on the very cusp of the change from socialism to the me-generation. (4a) Reyner Banham, quoted in the above. Check out Single Aspect’s blog entry on Alexandra Road too for additional references. Thanks too to the Camden Local Studies and Archives Centre, the home of much of the material cited above, and its helpful staff.